These little guys decided they wanted to fruit when it was about 5C outside. September 26! It got very cold right after and they froze through. 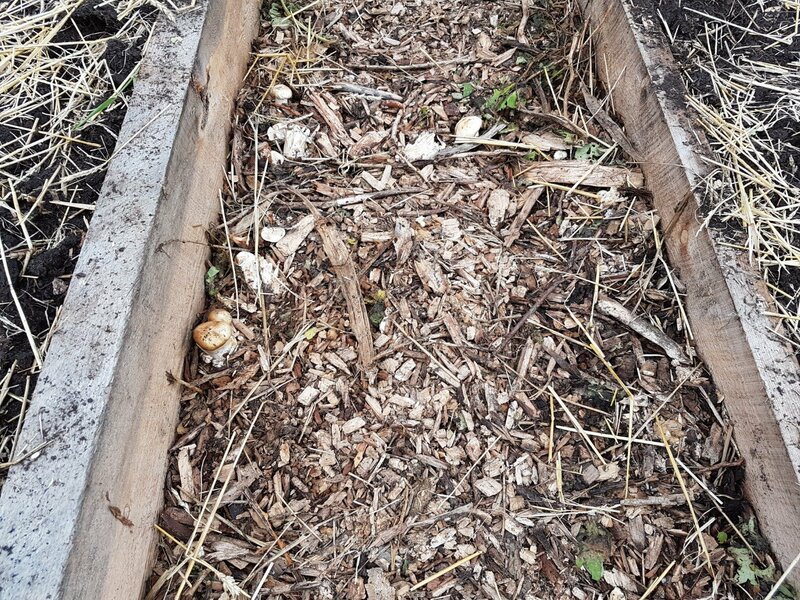 We added Stropharia (Wine Cap) sawdust spawn to these pathways between some of our garden beds in August. The pathways on this side seemed to have gotten more moisture and the wood chips appear well inoculated! We should see more of them in the summer next year. Contact us if you wish to be notified for new workshop announcements or to pre-order Stropharia for next spring!